Dress up or come casually, but be sure to bring your drinking shoes and a high spirited attitude to one of Long Island's Pub Crawls. 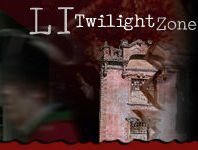 LIHauntedHouses.com found a few just for you! Grab a group of your friends and be ready to dance the night away. Pumpkin infused everything paves the way for a solid Halloween. Food and drink specials bring an added plus to a night that's ensured to be incredible as it is! Were you looking for an excuse to wear your old Halloween costume? Look no further! Come out and celebrate Halloween with us!